• PLOT SUMMARY: Dave Lizewski has had better days. When he first pulled on the Super Hero suit, it was the thrill of a lifetime. Since then, he's been banged-up, beaten, broken, bludgeoned, and all sorts of other b-words. He's met a 9-year-old assassin and been on a super hero team-up. He's watched people die and seen himself become an internet celebrity. But all that means nothing-compared to tonight. 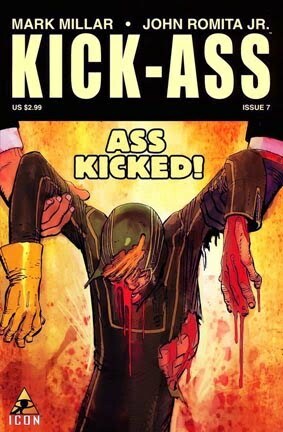 MARK MILLAR and JOHN ROMITA JR.'s foul-mouthed super hero saga continues! MATURE READERS.